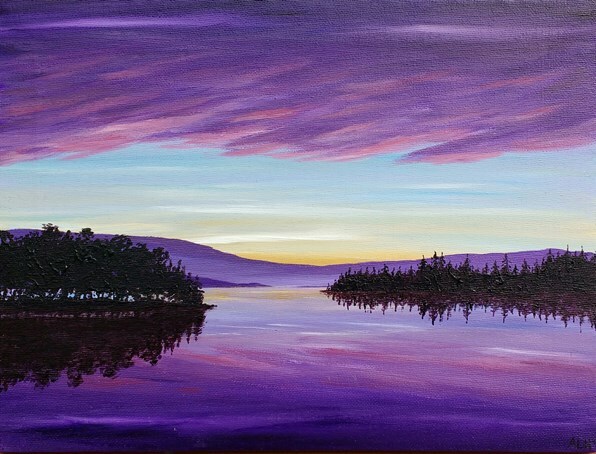 Description: A calming lakeland scene inspired by visits to Canada, Scotland and The Lakes. The painting continues round the edges of the frame so it is ready to hang with no need for framing. This creates a very simple but effective style. This painting has been finished with a protective satin varnish. This painting is on a standard edge canvas.